Hi- Four years ago I adopted this beautiful little girl. Her name is Charity, but she is "Sweet Charity" to me and all who know her. 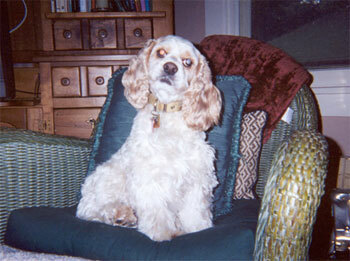 A loving, lively, and lovable little Cocker Spaniel.